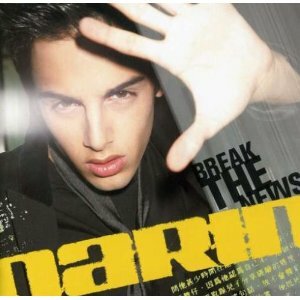 Home The Idol phenomenon continues with Darin who was the runner up to Sweden Idol in 2004. He has released 3 albums in total: The Anthem (released 16 February 2005), Darin (released 28 September 2005) and latest album Break The News (released 22 November 2006). The Anthem and Break The News contain 1 song each co-written by Max Martin! 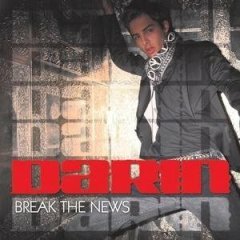 Awards 11 December 2006: Just checking out wikipedia, I notice Darin sang NSync's It's Gonna Be Me on 24 Sept 2004 and 26 Oct 2004 he sang Britney's (you drive me) Crazy, the Winner's single was Coming True written by Jorgen Elofsson. Link: http://sv.wikipedia.org/wiki/Idol_2004. Good choices! Also note that on October 22 they had a Max Martin themed week! 8 Ana Johnsson Produced by Produced by Patrik Berger. Vocals Produced by Patrik Berger and Robyn. 18 Britney Spears 3. Step Up Written by Red One, Darin, Bilal. Produced by Red One. From Darin's album Darin. 25 Cervello 8. Who's That Girl Written by Jorgen Elofsson. Produced by J Elofsson, P Westerlund R Brandén for Planet Six Productions. This song is also on album Darin. 32 Def Leppard Thanks to Martin from Sweden who let me know of this German release. Niklas from Gotheburg, Sweden thinks that Extra Ordinary Love song was for Britney's In The Zone album, just with some diffrent lyrics, because Darin is a boy, which may have been fixed by Robyn and Patrik Berger. Niklas also thinks that Max and Rami and Robyn wrote some other songs that didn't make it to In The Zone and another could be Celine Dion's Love Is All We Need. Very interesting!!!! Thanks Niklas! 70 NSync 6. Like No One Written by Patrik Berger/Fredrik Berger. Produced by Patrik Berger. 71 Pain 7. Saturday Night Written by: P. Alderheim/Darin. Produced by Per Aldeheim, recorded at Maratone. 82 Skye Sweetnam This album is fantastic! This is the best Idol album I've heard. To me this album is very Justin Timberlake in Sexyback mode but way better! 84 Stanfour Of course I love Extra Ordinary Love and I think it would have fit in perfectly with Britney's In The Zone, but Darin sings it so great so I'm not complaining. I love also love Saturday Night - very upbeat and funky. Homeless is a sad ballad and very dramatic which is classic Jorgen Elofsson. Everything But The Girl is also fantastic. Well, I just love this album. 87 Taylor Swift I'm guessing for the song Saturday Night that P. Alderheim is Per Aldeheim and that the r is a typo. It is produced at Maratone, so it's gotta be? 90 The Veronicas Anders Wikström & Fredrik Thomander have worked with written for A*Teens and more. 91 Those Dancing Days Patrik Berger has worked with Robyn. Also written for Hilary Duff - song The Little Voice. He has also worked with Swedish singer Sahlene. Link: www.myspace.com/sahlene. I don't know much about him. 8 April, 2007: Billboard 2005 Year in Music: 2005 Critics Choice. 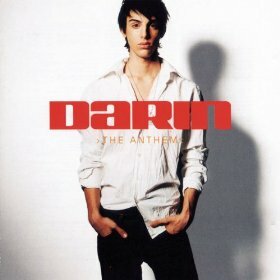 Fred Bronson Chart Beat Columnist lists Darin's album The Anthem at No 8. Link: http://www.billboard.com/bbcom/yearend/2005/top10/staff_1.jsp. Thanks Martin for the link. Coming True (co-written by Jorgen Elofsson) - typical Idol ballad - very dramatic! 5. Encore, Otra Vez, 1 More Time Written by Red One/Teran Beal/Carl . Produced by Red One at Reactive Studios. 6. The Anthem Written by George Samuelson/Adam Baptiste. Produced by George Samuelson for Trakslammer Productions. 10. Stand By Me Written by Alexandra/Max Martin. Produced by Johan Brorson for Maratone. 12. Coming True Written by Jorgen Elofsson. Produced by J. Elofsson, R. Branden and P. Westerlund. Recorded at Lighthouse Studios, Stockholm.